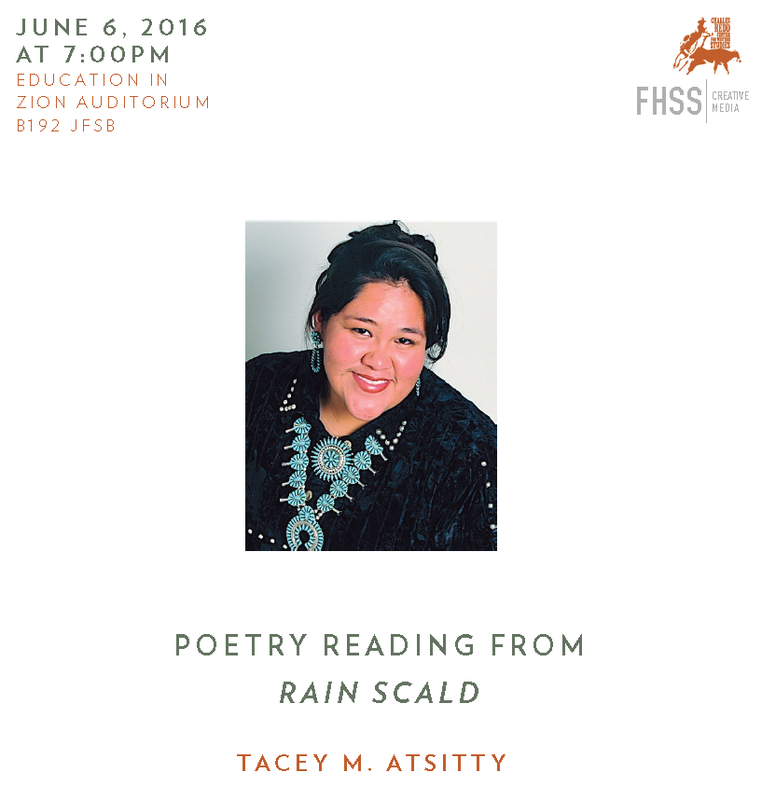 We are thrilled to have one of the original Rock Canyon Poets Tacey M. Atsitty back in town to read from her new book of poems Rain Scald, this Monday at 7pm at the Education in Zion Auditorium B192 JFSB (Joseph F Smith Building) on BYU campus in Provo. You can park in the visitor parking near the BYU art museum and the JFSB is west of the library. Don’t miss this amazing event! You can read more about Atsitty on her web site and read some of her poems published online by Drunken Boat. currently teaches at San Juan College. Big thanks to Karen Hoag and Spenser Heaps for the excellent story and photographs in this Daily Herald article that was published this morning about our performance at the Utah Arts Festival last night. We had a fabulous and attentive audience, but most of all we had an amazing time! Not only do we support each other as poets, but we are growing and learning together, and becoming close friends. Thanks to all who support us!